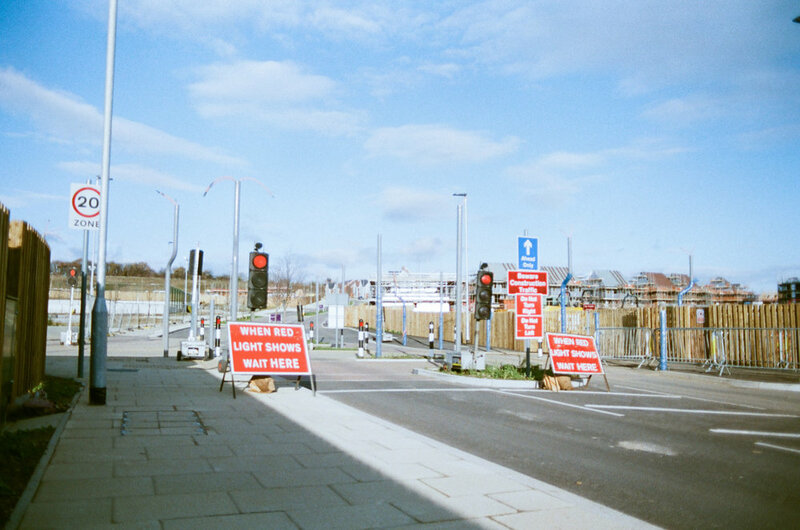 An investigation and exploration within a new urban space, a produced set of photographic images that investigated the notions of ‘duration’ and ‘transition’ within this urban space. My photographic education has consisted of approaching photography from a fine art perspective, meaning that great emphasis was placed on finding my own personal style and a constant justification of ideas and concepts was required. During this period of education, I was encouraged to find my own direction by reflecting on what I found aesthetically interesting and what messages resonated with my own preferences. In some ways, this approach helped me to decide upon the space I was to photograph. I have been influenced by the work of John Davies and Edward Burtynsky, not only stylistically but also by the concepts that they have explored within their work. Their photographs, shot on large and medium format, engulfs the viewer and provides them with an insight into scale within the photograph. Both photographers very rarely include the human form, but include the presence of humankind by showing the industrial, commercial footprint on the landscape and affecting nature. Davies’ work mainly looks at how residential and industry exist together. The starting point for this project was walking the streets of London. On two separate occasions, I headed into the city with no set agenda and photographed anything that captured my interest. I had romantic notions of Guy Debord’s the ‘dérive’ and hoped that my photographs would capture the essence of the space. However, after reviewing the images, I did not feel any validity or, as Roland Barthes (2000, p.27) refers to it, punctum. I felt nothing other than an approval for my own technical accomplishment. Knowing that I would have to present my work to an audience, which would undoubtedly incur questions and require justification of my decisions, I was forced to reflect upon my practice. I asked myself a series of questions: why walking? Why London? Why the derive? Why the camera? I then began to consider things around me that resonated with my core beliefs and interests. At the forefront of these thoughts were conversations surrounding housing, construction, town planning the history behind ‘traditional’ town and city development. Ebenezer Howard’s reference to magnets was a concept that particularly resonated with me as I too became a magnet, attracted to his work and the garden city movement. Conveniently, the very first garden city, for nearly one hundred years, to be built in the United Kingdom is currently being developed less than thirty minutes away from my current place of residence. (figure 1). According to Ebbsfleet Development Corporation (2018), The Ebbsfleet Garden City development will consist of 15,000 homes, improved public transport, seven city parks, a new commercial centre and connecting with Central London and Paris. Therefore, the development of Ebbsfleet will become a magnet for new business, education, research and development and leisure. Upon setting foot in the development, I immediately became fascinated. I was particularly captivated by the process of development and how the area would look during the construction stages whilst turning a few streets into a whole town. Developing a few streets in order to create a town. I was also interested in the way in which the space was being marketed, from street signs, logos, promotional materials and the overarching message. By showing the social spaces are thriving as if were a city (figure 2), the houses stylised and ‘dressed’ a certain way (figure 2) and a sense of a Kentish countryside village (figure 4), presents an ideal direction that the area is planned to become. Currently, and what I aimed to capture, is the juxtaposition of streets with lived in houses and freshly laid foundations. This space has yet to become or is in the transformative process of becoming, what Augé (2008) names a place. The space is starting to develop an identity and creating a history. To me, the most fascinating part of the space is, as previously mentioned, the method in which the space is being marketed and how this relates to the physical space. As Howard (2003, p.100) suggests, to draw people from the old cities ‘attractions’, people need to be overcome by the force of new ‘attractions’ which in this case, are being planned for. At present, there is very little in the way of actual ‘attractions’, but there are many plans and digital composites of the intended look, feel and ideal of the space. In theory, giving the development notions of place. I chose to photograph the space early on Sunday mornings. As Goldie (2017) suggests, the poetics of stillness leads to the physicality of practice. 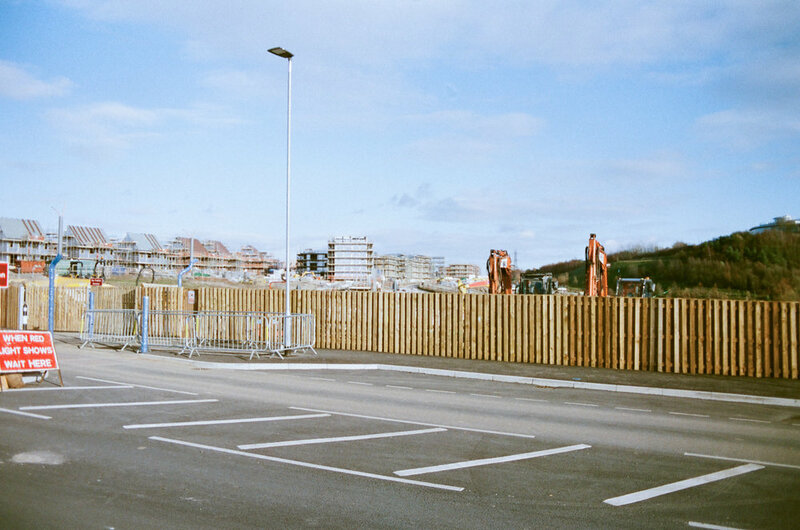 Throughout my series I aimed to capture the way in which I experienced the space, the area was empty, seemingly deserted, the building sites were silent. All that could be heard was the sounds of plastic tarpaulin flapping in a light breeze. The uncompleted houses stood behind wire fences, creating a visually permeable barrier, yet physically separating the incomplete form the complete. The lived in houses had closed curtains and cars on drive ways. There were boxes and packaging piled outside doors; evidence of recently moved in families. Old used furniture, that did not match the brand new aesthetic, waited to be found a place in the new home or discarded forever. Developer flags and sales banners fluttered outside perfect show homes. Unfinished roads led to nowhere. Traffic lights without lights and a silent school stood ready. . I took influence from José Luis Guerín’s piece ‘En Construccion’, where he documented not only the lives of inhabitance of a changing place, but also the sights and sounds of that process. As Benjamin (1979) states, only he who walks the road on foot learns the power it commands, and as such walking through the space several times allowed me to view and start to understand the space. Similarly, Burgin (1996) suggests, we come to know places through those we frequent. Smith (2014) refers to the banality of walking in suburbia, mainly because of the mundanity of routine and daily life. However, the space is yet to know a routine, the inhabitance are yet to have settled into the suggested banality of suburban life. On one occasion, I took my partner with me. a couple walking around the streets of a new development is an expected occurrence. This formed part of the process for me, as this was not the first new housing estate we had visited. We have had frequent conversations about whether we could own our own home, and if so, where we would look to buy. Along side this, there has been the ever frequent questions from parents, family and colleagues about when the predestined inevitable milestones should be reached. Burgin (1996) argues that Leiris’ ‘burning’ question of why someone choses to be in a particular place over another place. Suggesting that the need to work is the major factor of where someone finds themselves occupying. Smith (2014) suggests when walking through a space you should be aware of the flow of power, information and energy. Transporation links have been advertised significantly by the Ebbsfleet Development Corporation (2017) (figure 5), suggesting that this is believed to be a major selling factor. Shopping centres, enterprise centres and a media studio, entrainment theme park have also been mentioned. These are all areas that have started to construct the context or the place. This project provides the foundations for a larger study of the proposed development. I envisage this being completed over a longer duration of time. My aim is to document the development as it changes from a construction space to a lived in, occupied, space. I will also aim to explore how the factors of transportation and industry play a part in this. I aim to study how people put their mark on their place, along side how the developers market the ideal place. Ultimately, I want to observe what group, or groups, gain ownership of the place or places. Barthes, R. (2000). Camera Lucida. London: Vintage. Benjamin, W., Jephcott, E., & Shorter, K. (1979). One-way Street, and Other Writings. London: NLB. Burgin, V. (1996). Some Cities. California: University of California Press. Countryside-properties.com. (n.d.). Springhead Park, Ebbsfleet Garden City, Kent | Countryside Properties. [online] Available at: https://www.countryside-properties.com/new-homes/all-developments/new-home-developments/kent/springhead-park/ [Accessed 6 Jan. 2018]. Ebbsfleetvalley.co.uk. (n.d). Ebbsfleet Valley | Transport. [online] Available at: http://www.ebbsfleetvalley.co.uk/transport [Accessed 6 Jan. 2018]. Ebbsfleet Development Corporation. (n.d.). The Vision. [online] Available at: http://ebbsfleetdc.org.uk/the-vision/ [Accessed 6 Jan. 2018]. Ebbsfleet Development Corportaion (2017). Ebbsfleet Garden City. Implementation Framework Summary. [online] London: Ebbsfleet Development Corportaion. Available at: http://ebbsfleetdc.org.uk/wp-content/uploads/2017/10/Ebbsfleet-Summary-Framework.pdf [Accessed 6 Jan. 2018]. Guerín, J. (2001). En construccion. Ovídeo TV / INA. Guy Debord (1958) Definitions. Internationale Situationniste, 1 (Paris, June 1958). Howard, E. (2003). Garden Cities Of To-Morrow. Organization & Environment, 16(1), pp.98-107. Jacobs, J. (1972). The Death and Life of Great American Cities. Middlesex: Penguin Books. Smith, P. (2014). On Walking. Devon: Triarchy Press. The Leisure Society with Gemma Cairney, (2017). Goldie and Hot Yoga. BBC Radio 6 Music: BBC. 3Fox International, (2016). 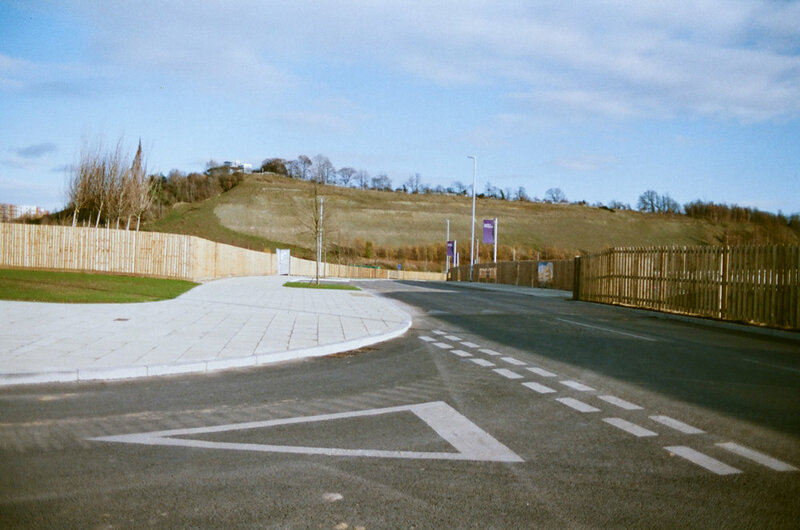 Ebbsfleet Garden City, [online] (1). Available at: https://issuu.com/3foxinternational/docs/ebbsfleet_online [Accessed 6 Jan. 2018]. 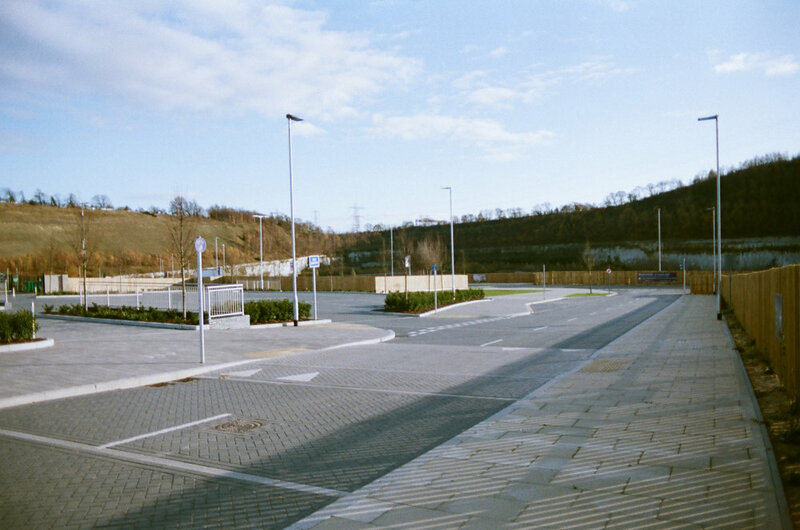 Figure 1 - Ebbsfleet Development Corportaion (2017) Ebbsfleet Garden City. Implementation Framework Summary. [online], p5. Figure 2 - Ebbsfleet Development Corportaion (2017) Ebbsfleet Garden City. Implementation Framework Summary. [online], p15. Figure 4 - 3Fox International, (2016). Ebbsfleet Garden City, [online] (1), p16.